The report is damning to say the least. The report points to the ship’s captain’s inability to grasp and fully understand what was happening. For well over 45 minutes, Schettino received reports after reports from his crew that the ship was flooding and the engines were dead. 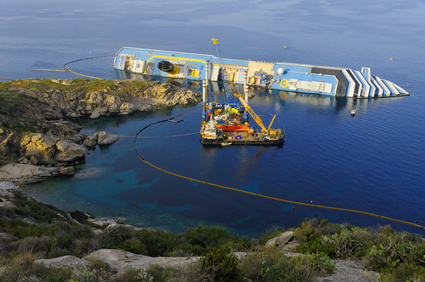 Despite the loss of power to the engine, the black out throughout the entire ship, as well as the ship dangerously tilting on its side, Schettino failed to give the “abandon ship” order. The report also confirmed that when the “abandon ship” order was finally given, Captain Schettino may already have been on his way to safety. The black box revealed that the order was issued by another officer from the bridge, which is another violation of maritime rules. The court-appointed experts were also not kind towards the Cruise company owned by Carnival Cruises, based out of Miami, Florida. The report points to a serious lack of professional seriousness among the crew members and employees present on the bridge. The owner of the ship is blamed for delaying alerting coastal authorities about the incident, which further delayed any emergency and medical attention to the survivors. The black box also revealed that crew-members on the bridge were having grave difficulties understanding each other and accomplishing the most simple tasks due to language barriers. Schettino joking with an officer that his poor understand of the italian language could result in the ship going “on the rocks” was alarming in the eyes of the maritime experts. Costa Cruise Lines is responsible for the hiring and training of officers trusted with the lives of thousands of cruise passengers. Yet, that night, on the Costa Concordia, passengers were led by a team of crew-members that did not understand each other, and whose lack of training and certifications, contributed to the loss of lives.